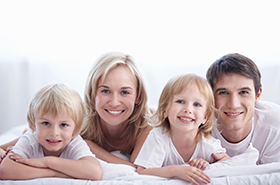 At Maplewood Dental, located in St. Catharines, Ontario, we provide various treatments to patients of all ages and in all aspects of general dentistry. Our exceptional dental team is experienced and committed to providing the highest standard of dental treatment and care to each patient. Your comprehensive care begins with a complete oral and radiographic examination, including an oral cancer screening as well as a cosmetic evaluation. Upon completion of your examination, you will be presented with a personalized treatment plan, along with the options available to you. In the meantime, view the items below to read about the various services provided that target specific areas of concern. Gum recession is the most common cause of tooth sensitivity. However, there are many other common causes: Tooth decay, gum disease, chipped, cracked or broken teeth, teeth grinding, tooth-whitening products, plaque buildup, acidic food, recent dental work such as new fillings or deep hygiene treatment. Call us for a thorough dental exam to determine the exact cause of your sensitivity. It’s best to identify the problem area as soon as possible, as some dental problems can get worse overtime. Do you have recurring morning headaches? There are many reasons why we get headaches. Some headaches are very serious and can warrant a visit to the emergency room. However, most morning headaches are not life threatening - they are simply the result of severe night clenching and grinding. Let us know if you’re concerned or would like to get an assessment. Do you have bleeding or sore gums? There is a wide range of reasons for why your gums bleed. Immunodeficiency and hemophilia are some of the more serious causes, however there are many other causes that can be easily treated and sometimes reversed if caught during the its early stages. For example, plaque buildup, lack of flossing, aggressive brushing, foreign object impaction, tooth eruption, bone loss, and gum infection. The important message is to not ignore bleeding gums. Have a check up and get a proper pocket measurement done. Do you have crooked teeth or have your teeth recently shifted? Although not many are born with perfectly straight teeth, sometimes there are reasons why teeth do not line up properly: A small jaw, supernumerary teeth, teeth drifting caused by bone loss and gum disease, heavy clenching or grinding, tooth abscess, and bone or tissue growths inside the jaw. A detailed assessment can help determine the true cause of your problem. It is especially important to eliminate the presence of serious lesions. Although tooth loss due to decay seems to have stabilized to around 8-10%, tooth loss due to gum disease has not improved much. The conditions that have caused a person to lose one or more teeth can persist and cause more tooth loss unless identified and treated. Also, losing one or more teeth causes the adjacent teeth to shift into the newly open space and sometimes, the opposing teeth try to fill that gap by over-erupting. Regardless, these tooth movements are unfavorable and can result in more tooth loss in the future. It’s best to identify the cause of your tooth loss, address the problem, and replace the missing teeth. Do you have yellow or stained teeth? The outer surface of teeth – the enamel, contains tubules that can trap stains and other particles. It is natural for teeth to stain over time, especially in heavy smokers and coffee drinkers. Sometimes the stain is incorporated into the enamel structure itself, such as with Tetracycline stains. Either way, you don’t have to live with yellow or stained teeth. Tooth whitening technologies have improved dramatically over the last few years, and depending on the type of stain, we can sometimes guarantee a 9-shade improvement. From that moment on, a simple maintenance procedure will help you maintain your whiter smile without having to change your eating, drinking or smoking habits. Contact us to receive a free whitening assessment and let us show you what we can do for you. Do you experience a “funny taste” in your mouth? Altered taste, or sometimes described as “metallic taste,” can be caused by a wide range of factors, such as zinc deficiency, chemotherapy treatment and a long list of prescription and over the counter medications. However, altered taste can also be caused by a tooth abscess that is draining into the mouth, chronic gum infection and heavy plaque buildup on teeth and on the top surface of the tongue. Having a proper check-up done on regular intervals and having a proper oral hygiene routine that includes the use of floss and a tongue scraper will eliminate most of the symptoms. But if any persist, have your dentist, pharmacist or family physician check your list medications and make sure to include all vitamins, homeopathic and over the counter products. Do you experience frequent bad breath? Bad breath, also referred to as halitosis, can originate from one of 4 possible areas in the body: The stomach, the lungs, sinuses and the mouth. Acid reflux resulting from a loose valve (lower esophageal sphincter) allows stomach fluids to travel up and down into the esophagus. This will undoubtedly cause the emission of a bad odor into the mouth, however can be controlled by diet modifications and prescription medications. The lungs can also emit a bad odor into the mouth, which is generally caused by the consumption of large amounts of certain spices, onions and garlic. These foods release compounds into the stomach that are absorbed into the blood stream and then released in the lungs. Heavy smokers or patients with bronchitis as well as individuals with sinus infections, tonsillitis and laryngitis can also experience bad breath. The most common source of bad breath is the mouth. Lack of proper hygiene treatment combined with inadequate plaque control can result in gum infections, tooth decay, and an increase in bacterial count in the mouth. Aside from the negative impact this can have on a person’s overall health, a high bacterial count in the mouth means more sulfur compound production, which translates into what we know as bad breath. Adopting a thorough home care routine, combined with a regular hygiene program, and a check up can quickly eliminate this problem. Human teeth are not fused to the bone - they are held by millions of ligaments that actually suspend the tooth in its socket. Teeth will shift if there is excessive pressure, such in patients with clenching and grinding habits, or if the attachment diseased or invaded by a foreign object. It is really important to have a radiographic analysis and a clinical assessment to determine the cause of tooth mobility or movement. Some early tooth movement can be successfully corrected if treated early on: ignoring dental problems only allows them to get worse. Are your wisdom teeth painful? It is natural for teeth to cause a bit of discomfort during the eruption phase. However, severe pains, with or without swelling in the surrounding gum tissue, can indicate the presence of a gum infection. This has to be treated with a rinse and an oral antibiotic to prevent it from spreading to the surrounding tissues. A panoramic x-ray image will allow your dentist to determine if you your wisdom teeth have enough space to erupt or if they will remain impacted causing you recurrent pain and infections. Do you have old crowns with chipped porcelain or metal showing? Chipped porcelain can pause a cosmetic and a functional concern. Porcelain chips can be easily restored assuming the rest of the crown is stable and the margins and still intact. Holding on to a crown with a compromised integrity may result in accidental aspiration or swallowing of bits and pieces of porcelain as more of the crown chips off. A clinical exam can help determine if a chipped crown can be repaired or if it needs to be replaced. Do you have jaw joint (TMJ) pain? The TMJ is a complex area of the face in that it contains multiple nerve innervations, muscle attachments, and a unique anatomy and function. A TMJ pain can be caused by excessive wear and tear in the joint, referred pain from surrounding structures, muscles or even teeth. It is a good idea to track intermittent pain to see if there’s a trend but never ignore a persistent especially if it is accompanied by restriction on movement or range of motion. Ringing in the ear is an interesting phenomenon that has been linked to multiple factors. It can range from a unilateral mild intermittent buzzing sound to a loud ringing that can severely interfere with a person’s ability to function normally. The most logical first step is to have an exam done by an audiologist or an ENT specialist. If nothing comes out of that exam, the next step would be to have a dental exam to eliminate the possibility of an abscessed upper wisdom tooth that can refer pain to the ear, but more often than none we find that the ringing in the ear is caused by a heavy teeth-clenching habit. Without a flexible night guard appliance, the clenching force is directly delivered to the joint area with is innervated by multiple sensory nerves. A flexible night guard, if worn every night at bedtime, will take some of the pressure off of the joint and result in less irritation. The patient should also keep a journal of the severity of their tinnitus and see if it relates to stimulants such as caffeine, nicotine, alcohol, etc. as they too have been partially implicated. To learn more about our dental services, please contact us. "Pain-free appointments, friendly/welcoming environment and staff, knowledgeable staff." "Everyone here is just great." "Dr. Salamé and staff are wonderful! I tend to be scared of the dentist J but everyone is great and reassuring. He explains everything before he starts. I almost enjoy coming :)"
"For someone like me, who is very nervous, the Maplewood Dental staff makes me comfortable." "Awesome, very friendly and gentle staff. Great people." "Dr. Salamé is amazing, Joanna and all their front staff." "The good doctor and staff @ Maplewood Dental are very friendly, professional and accommodating. Highly recommended." "Dr. Salamé is a good dentist! They are really good at what they do!" "I am very satisfied with Dr. Salamé and his staff, their knowledge, dedication and friendly manner." "We didn’t have a dentist, but he took us, no questions asked, we will be forever grateful for his service and dedication."